China gave the green light to more than 200 coal power plants in 2015 despite falling coal consumption, flatlining production and existing overcapacity. According to a Greenpeace analysis, China’s central and provincial governments last year issued environmental approvals to 210 coal-fired power plants — that’s four per week. The numbers associated with this prospective new fleet of plants are suitably astronomical. Should they all go ahead they would have a capacity of 169GW; they would cost around $98 billion; their carbon emissions would be around 780 million tonnes a year, considerably more than the UK’s annual CO2 emissions; they would produce more particle pollution than all the cars in Beijing, Shanghai, Tianjin and Chongqing put together; and consequently would cause an estimated 9,200 premature deaths a year. But they’re unlikely to be used to their maximum since China has practically no need for the energy they would produce. Because, as its coal-fired capacity increased by 72GW, the country’s coal-fired generation fell by 2.8% and coal power plant utilisation fell by 8%. It looks like this trend will continue, with China committing to renewables, gas and nuclear targets for 2020 — together they will cover any increase in electricity demand. What looks to have triggered this phenomenon is Beijing’s decision to decentralise the authority to approve environmental impact assessments on coal projects starting in March of this year. But it’s been a problem years-in-the-making, driven by the Chinese economy’s addiction to debt-fuelled capital spending. Almost 50% of China’s GDP is taken up by capital spending on power plants, factories, real estate and infrastructure. It’s what fuelled the country’s enormous economic growth in recent decades, but diminishing returns have fast become massive losses. Recent research estimated that the equivalent of $11 trillion (more than one year’s GDP) has been spent on projects that generated no or almost no economic value. Since the country’s power tariffs are state controlled, energy producers still receive a good price despite the oversupply. Coal capacity is way up but thermal power generation is back to what it was back in 2011 — China has essentially spent four years building 300 large coal power plants it doesn’t even use. Total spend on the upcoming projects would be an estimated $98 billion, with the 54% controlled by the ‘Big 5′ state-owned groups potentially adding 50% to company debt without any likely increase in revenue. Basically, if these plants get built China’s coal bubble will be inflating faster than ever. Because there’s no room for this much new coal, and because China is sticking to its 15% non-fossil fuel target by 2020, older plants will likely be closed. Because of that it’s unlikely the new fleet would cause a net increase in carbon emissions, particulate pollution or premature deaths. Assuming they operate the same number of hours per year as the most efficient Chinese coal plants did in 2012, these 210 would produce 133,00 tonnes of SO2 pollution, 174,000 tonnes of NOx and 39,000 tonnes of particulates per year. Modelling suggests that this would cause 9,200 premature deaths a year — that’s 220,000 over a 24-year operating life. 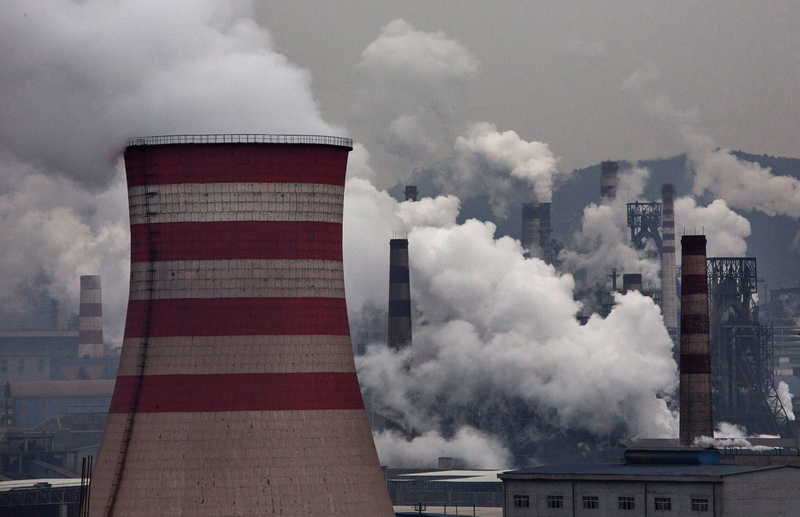 The projects’ 780 million tonne carbon emissions would equal 8% of China’s total CO2. And then there’s the oft-overlooked consequence of these coal plants: water. More than half of the proposed power plants are in areas of extremely high water stress, a further 5% are in high water stress regions and another 5% are in arid places. Demanding at least 330-540 million cubic metres of water every year (which would meet the needs of 18-30 million people), these projects would exacerbate the conflict between urban, agricultural and industrial consumption. So they’re not only a waste of money. These findings arrive less than three months after China took a leading role at the UN climate talks in Paris, where nearly 200 countries agreed to curb carbon emissions in order to avoid the worst impacts of climate change. Since then the Chinese government has taken steps to address its coal overcapacity, pledging to close a thousand mines across the country and enforce a moratorium on new ones until 2019. Drastic cuts to its steel and coal sectors appear imminent, with 1.8 million workers thought to be facing the sack. I guess we’ll know more about exactly what kind of coal plan China will pursue later this month, when the government announces its Five Year Plan.